Congratulations go out to Bobcat sophomore cross country runner Sam Baumer, who was named A.I.I. Runner of the Week. 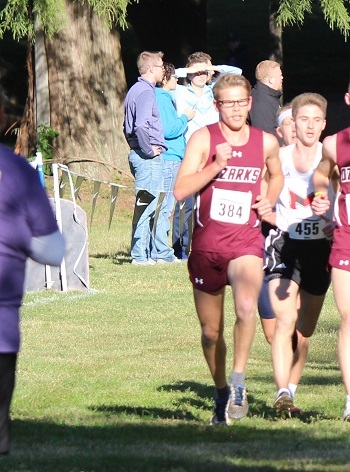 Baumer was recognized for his fourth place finish out of 110 runners in Saturday's St. Louis Fall Classic, hosted by St. Louis College of Pharmacy. Baumer posted a time of 26:26.6, his best of the season to date, helping to lead the Bobcats to a fourth place team finish out of 13 teams participating. If you are interested in joining the Bobcat Cross Country team, please complete the Bobcat Cross Country Questionnaire.